← THE MEANING OF “NO” — Is It Really the Worst Thing a Donor Can Say? I love to fly, and I love relating to donors. Consequently, I can’t help but think about the two in the same context. Fundraising is a lot like piloting my Cirrus SR22 Turbo, and flying my Cirrus is a lot like fundraising. 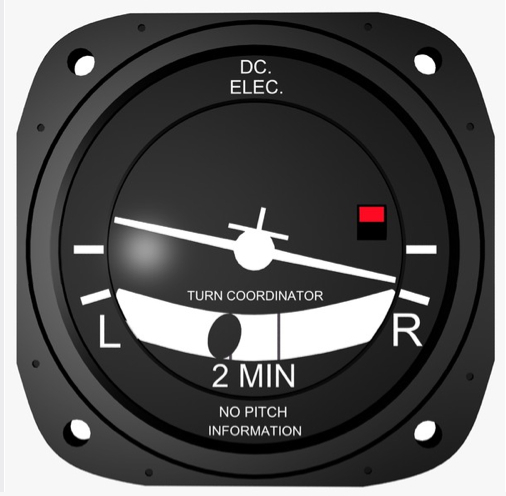 There is an aspect of every conversation with current or potential donors that could be described as “flying by the seat of your pants.” This phrase has come to mean navigating only by observation and instinct without reliance on instrumentation. It originated in the early days of aviation. Until the development of the “Slip-Skid Indicator” towards the end of WWI, pilots had no instrument to help them turn efficiently. When an aircraft banked into a turn, it would either “slip” towards the lower (inside) wing or “skid” towards the outside of the turn. If the aircraft slipped, the pilot’s bottom would slide “downhill” in the seat. If the plane was skidding in the turn, a slight G-force pushed the pilot “uphill.” And so, flying by the seat of your pants related to the upward or downward pressure of positive or negative G-forces on the pilot’s rear end. Inspiring, persuading, and building relationships with donors is more an art than a science. Consequently, it is less like flying by instruments and more like flying by feel—i.e., by the seat of your pants. If you don’t stick to the script, your plane and your presentation are likely to crash and burn. When navigating from point A to point B in an aircraft, you have a lot of options. You can navigate by vectors, by the compass, by GPS, or by landmarks. You can even do some loops and barrel rolls along the way if you have the flying experience. The same is true when telling donors about your organization. There are no precise rules or scripts to follow. Sometimes in your enthusiasm, you can get a little off track and even a little lost in the story. But it’s not that hard to figure out where you are and get back on course. However, when it comes to landing at the airport, you have to follow a strictly defined checklist—glide slope, pitch, air speed, flaps, landing gear, etc. Successful landings are all about carefully following procedures. If you don’t stick to the script, your plane and your presentation are likely to crash and burn. COROLLARY: You can pilot a conversation over many routes—building relationships, answering questions, and telling stories. But when it comes to making the appeal and landing the gift, you are advised to stick to the script. I wouldn’t think of making an appeal without reliance on that script any more than I would try to land a Cirrus SR22 by the seat of my pants. When I get around to making the actual appeal, I always use a standard ask. It doesn’t matter who it is, for what I am asking, or for how much. I never deviate from my script. Of course, after thousands of appeals, I can go through it in my sleep. In our Gift Clarity trainings, we help fundraisers develop their organization’s unique script around the essential elements of an effective appeal. I wouldn’t think of making an appeal without reliance on that script any more than I would try to land a Cirrus SR22 by the seat of my pants. Successful landings, like successful appeals, are the result of following well-scripted procedures. It can get very frustrating when an organizational representative is determined to stay on a scripted message. Instead of listening closely to your concerns and interests, the salesperson, customer service rep, or fundraiser focuses primarily on getting through the script. They don’t seem to be interested in the customer or the donor, but on simply downloading the information. This applies to few, if any, of our readers because usually telephone solicitors are the only fundraisers who approach donors reading off a script. Nonetheless, there are two points worth making here. 1) If you are relying on a scripted presentation to build relationships, develop trust, and inspire vision, your success as a fundraiser will be limited at best. Even professional fundraisers can, at times, just switch on the auto-pilot. Sometimes that is the result of inexperience at telling a particular organizational story, or sometimes the result of over experience—i.e., they have become tired of telling the same old organizational story. In either case, they tend to revert to an external or internal script. And as a result, they wind up talking at donors not with them. It takes more mental energy to engage in an interactive dialog than it does to deliver a memorized speech. 2) If you are “flying by the seat of your pants” when it comes to the actual ask, you are probably less effective than you could be. Qualifying fundraisers in terms of their “ability to close” completely misses the point. Closing is easy. All you have to do is read the script. It’s getting from point A to point B in terms of donor relations—that’s the real trick and the art of fundraising. Feel free. I hope it helps.